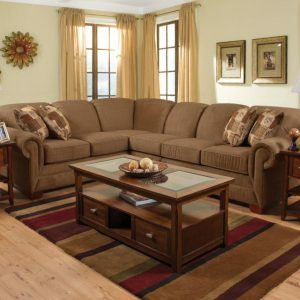 Solid Wood frame Mission Style Sofa features reversible seat and back cushions for extra long life. Sofa and chair available as sleepers. Choose from hundreds of fabrics. Mission Style Sofa with mission style slats, clean lines, and gentle arcs. Mission Style wood frame finished in a distressed Pecan giving each furnishing a rustic look. Custom upholstery accompanies every piece, allowing you to design a chair to match existing furniture or to design a room around your Mission Style Sofa. standard sofa also available as a queen size sleeper. matching chair and a half style features a twin size sleeper option. The sleeper sofa comes with an innerspring mattress standard or upgrade to either a Memory Foam mattress or an AirDream sofa sleep system. The backs feature premium polyester fiber and the seat cushions have solid foam for comfort. A reversible set of accent pillows in any choice of covers are standard with the sofa and loveseat.